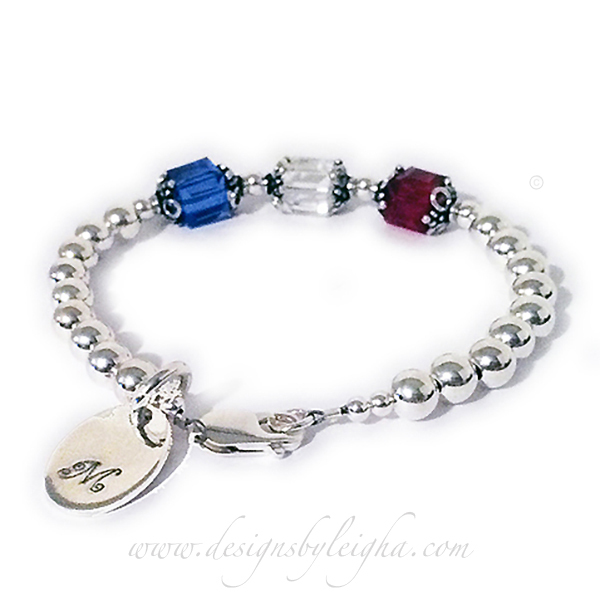 Shown with 3 birthstones - September or Sapphire, April or Diamond and Ruby or July. They added an Oval Engravable Charm and I hand-stamped the Curly Initial "M" on it for free. 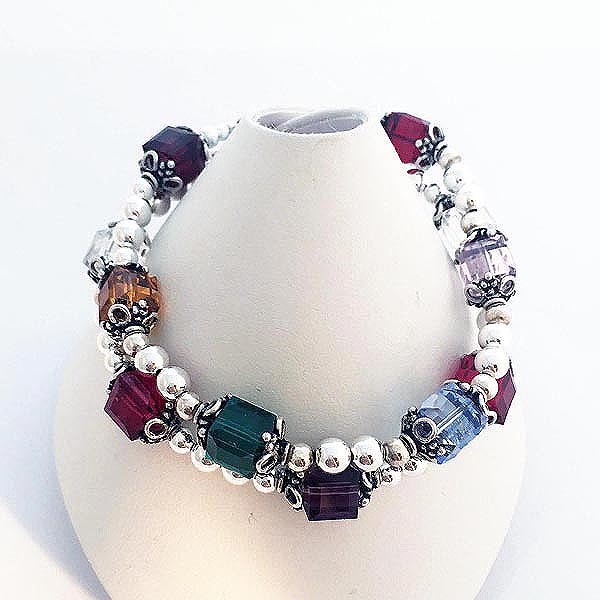 This is a 2-string bracelet with 8mm square or cube Swarovski crystals. They added a FAMILY charm and a Heart Lobster claw clasp. The first string shown has April or Diamong, July or Ruby, February or Amethyst, July or Ruby and April or Diamond. The second string shown has Garnet or January, Light Purple or June, Blue Topaz or December, Emerald or May, Golden Topaz or November and January or Garnet.